When Governor Henry Dodge addressed the joint session of the legislature here on October 25, 1836, the Territory of Wisconsin included all of present day Wisconsin, Iowa, Minnesota, and parts of the two Dakotas. The population was about equally divided east and west of the Mississippi. 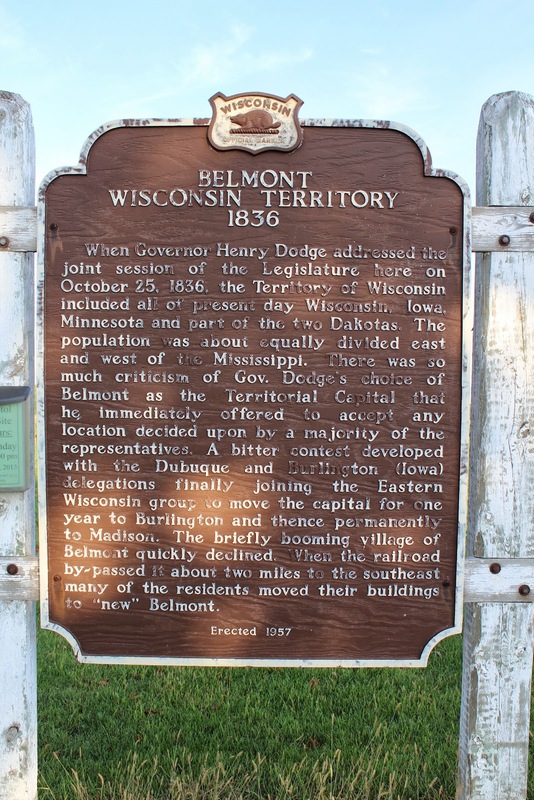 There was so much criticism of Governor Dodge's choice of Belmont as the Territorial Capital that he immediately offered to accept any location decided upon by the majority of the representatives. A bitter contest developed with the Dubuque and Burlington (Iowa) delegations finally joining the eastern Wisconsin group to move the capital for one year to Burlington and thence permanently to Madison. The briefly blooming village of Belmont quickly declined. When the railroad bypassed it by two miles to the southeast, many of the residents moved their buildings to the "new" Belmont. 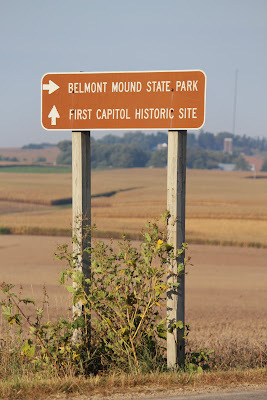 The marker is located at First Capitol State Park, 19101 County Highway G, at its intersection with County Highway B, Belmont, Wisconsin 53510. 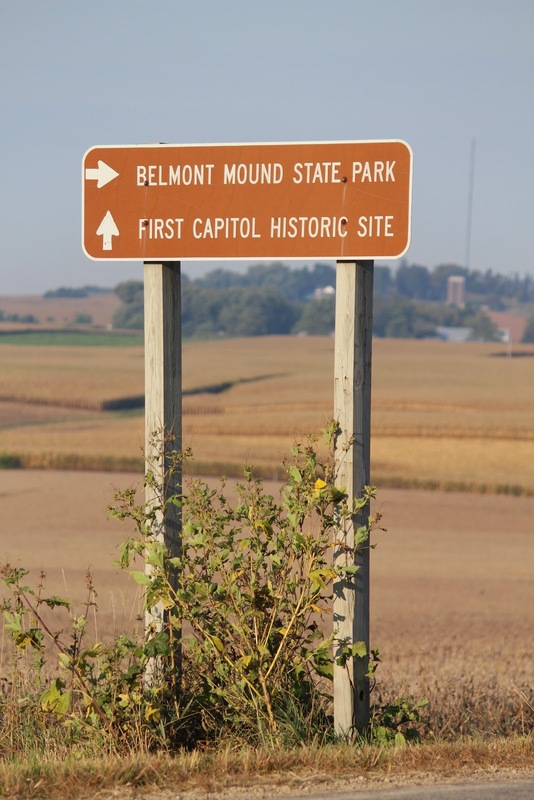 First Capitol Historic Site is a free admission historic museum located outside Belmont, Wisconsin. The museum includes two of the buildings first used by territorial legislators to meet in Wisconsin Territory. Currently owned and operated by the Wisconsin Historical Society, the site is listed on the National Register of Historic Places. Click here to view all markers at First Capitol State Park. The marker is located at First Capitol State Park in Belmont, Wisconsin.